Explanation: You, too, can see a night sky like this. 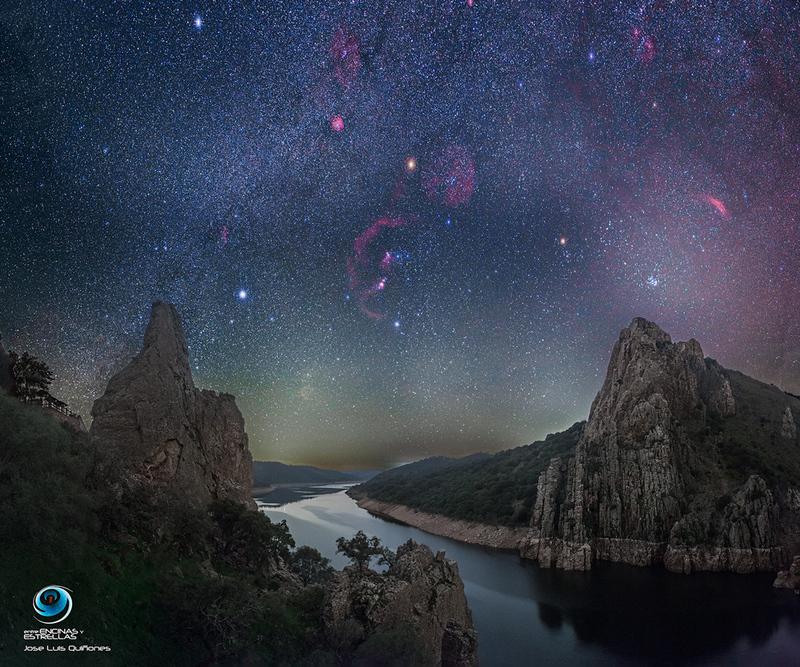 That is because Monfragüe National Park in Spain, where this composite image was created, has recently had its night sky officially protected from potential future light pollution. Icons of the night sky that should continue to stand out during northern winter -- and are visible on the featured image -- include very bright stars like Sirius, Betelgeuse, and Procyon, bright star clusters like the Pleiades, and, photographically, faint nebulae like the California and Rosette Nebulae. Even 100 years ago, many people were more familiar with a darker night sky than people today, primarily because of the modern light pollution. Other parks that have been similarly protected as dark-sky preserves include Death Valley National Park (USA) and Grasslands National Park (Canada). Areas such as the city of Flagstaff, Arizona and much of the Big Island of Hawaii also have their night skies protected.